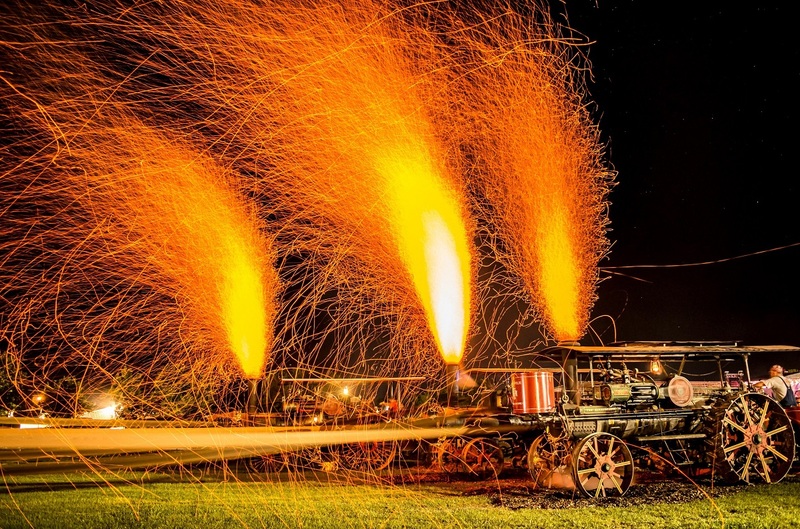 How do I become an exhibitor at the Midwest Old Threshers Reunion? 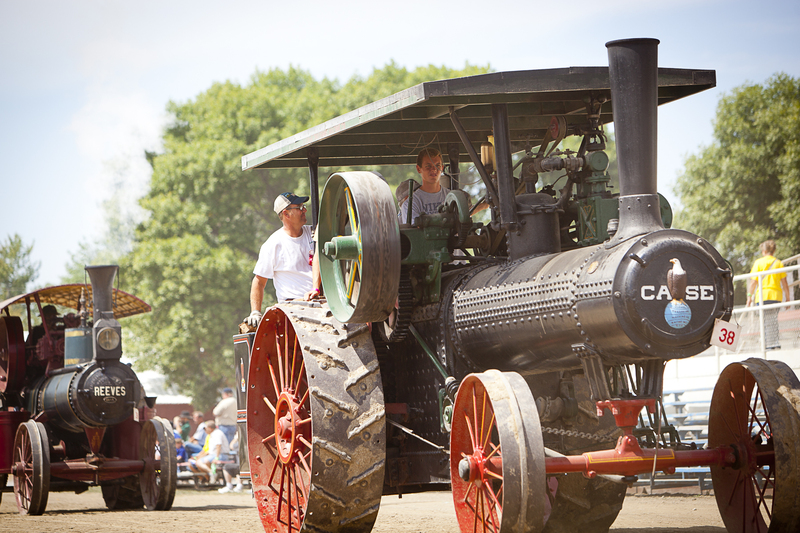 The main exhibitor areas at the Midwest Old Threshers Reunion are the traction steam engine, gas engine, tractor, horse, and car & truck areas. 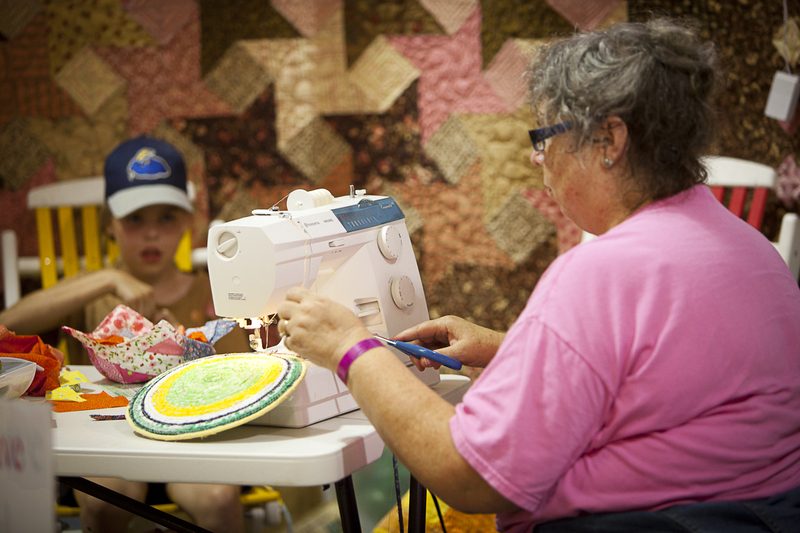 All of the areas have different criteria for new exhibitors to follow if they wish to display or demonstrate at the annual event. Traction Steam Engines: Both full-sized and model traction steam engines are exhibited at the Reunion. 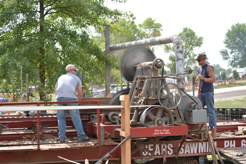 All traction steam engines (including model engines) will be inspected by our safety committee and must pass all of the inspection requirements to be exhibited at the Midwest Old Threshers Reunion. Trucking assistance will be worked out on a per engine basis. If you have any questions, contact the Midwest Old Threshers office to be put in contact with the area directors who will personally answer your questions. Gas Engines: The majority of the gas engines displayed at the Reunion are antique, exposed flywheel gas engines. The engines must be in restored and operable condition and the exhibitor is encouraged to operate the engine during the day. 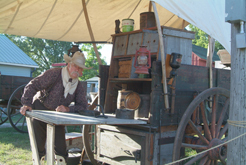 Most gas engine exhibitors simply bring their engines to the Midwest Old Threshers Reunion and register at the Gas Engine Headquarters. If you have any questions, contact the Midwest Old Threshers office to be put in contact with the area director who will personally answer your questions. Tractors: All tractors exhibited at the Midwest Old Threshers Reunion must be at least 50 years old and should be in operable condition. 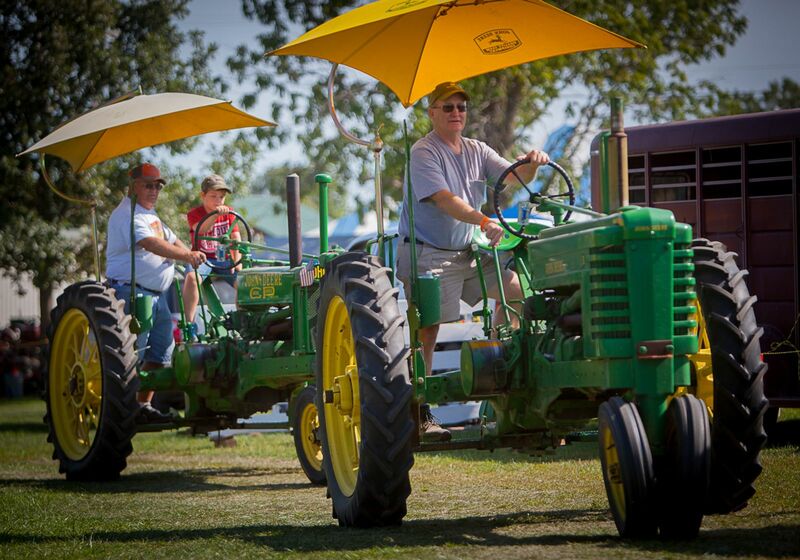 Each year, a tractor manufacturer is featured. If your tractor was manufactured by the featured company, there is no year restriction on the tractor that year. 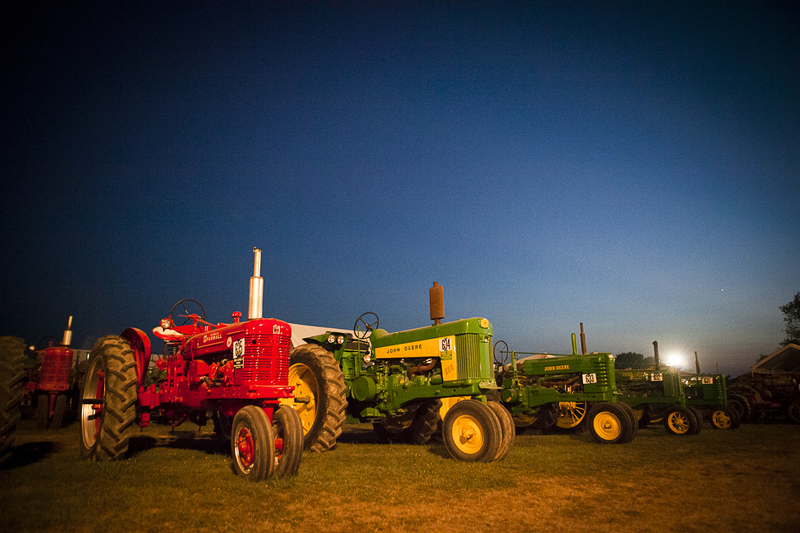 Most tractor exhibitors simply bring their tractors to the Midwest Old Threshers Reunion and register at Tractor Headquarters. If you have any questions, contact the Midwest Old Threshers office to be put in contact with the area directors who will personally answer your questions. 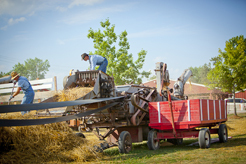 Horses: All horse exhibitors must be invited by the area director to exhibit at the Midwest Old Threshers Reunion. Call the Midwest Old Threshers office for details. If you have any questions, contact the Midwest Old Threshers office to be put in contact with the area director who will personally answer your questions. Cars and Trucks: All cars and trucks exhibited at the Midwest Old Threshers Reunion must be at least 50 years old, must be in operable condition and must not be modified, street rod or replica. When special displays are planned, there may be exceptions to the age limit. We expect that vehicles will parade during cavalcade. 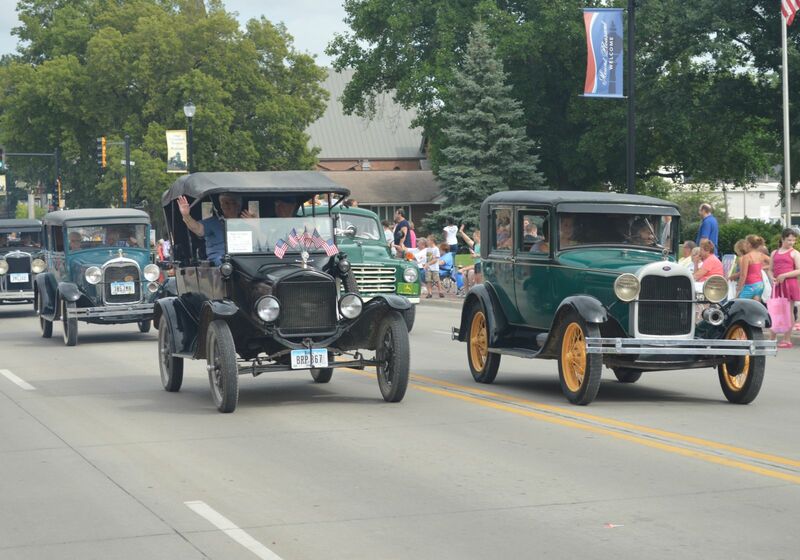 The majority of cars and trucks are exhibited by the members of the Southeast Iowa Antique Car Club. It is recommended that you contact the Midwest Old Threshers office prior to the Reunion to schedule your car or truck to exhibit at our annual event. If you have any questions, contact the Midwest Old Threshers office to be put in contact with the area director who will personally answer your questions. Can you send or email me a schedule/program that lists daily events and how many things happen daily at the Reunion? The schedule/program book is FREE at many different locations on the grounds. The brochure does not arrive here until a couple of days before the Reunion begins. 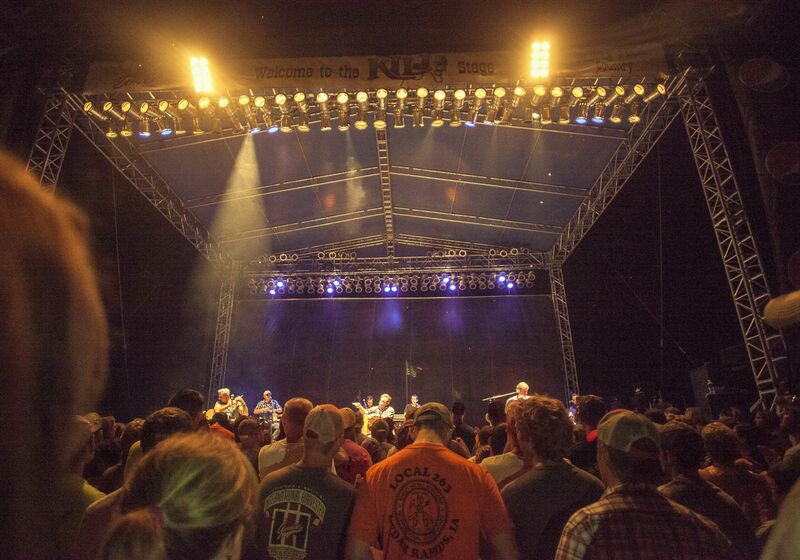 There is, on average, 125 different events scheduled each day during the Reunion. You can look at the program on the Visit the Reunion page, listed under the Reunion Programs. Do you take reservations at the campground? Are there electrical hookups, water, showers, dump stations, generator areas, and what's the cost for camping? There are limited reservations taken in the campground, it is a first come first served basis. There are some electrical hookups, some water hookups, 4 bathhouses, 2 dump stations, and a generator area in the south end of the campground. The cost for tent camping is $10.00; $15.00 for regular (20 amp) camping, $20.00 for 30 amp camping and $25.00 for 50 amp camping, all prices are based on a per night visit. 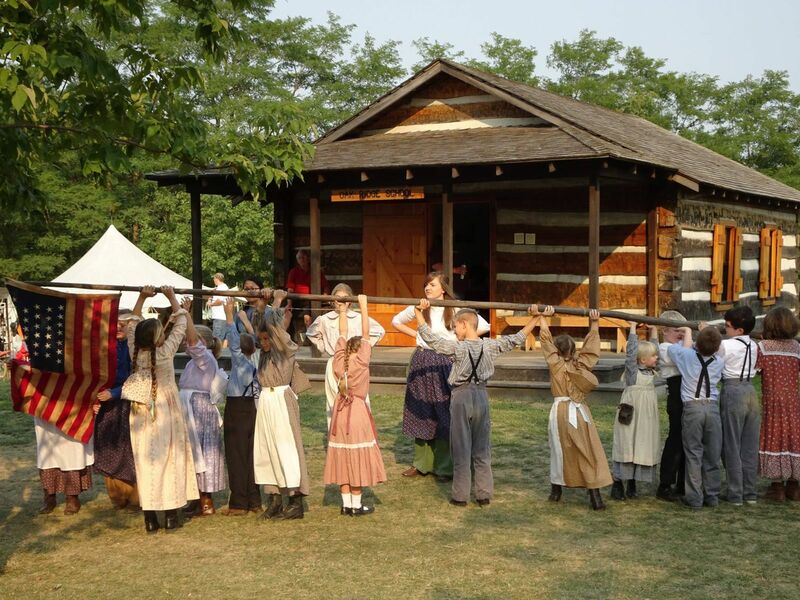 See Campground & Places to Stay for more info. What does it cost to come to the Reunion? One-Day Admission is $15. Labor Day Admission at Gate Only $10. Multi-Day Admission passes are $20 if purchased by May 31, and after May 31 are $30 and can be purchased by calling the Midwest Old Threshers office at 319-385-8937 or online at shop.oldthreshers.com. Kids 10 and under are admitted free. Midwest Old Threshers asks all pet owners to be courteous and respectful to all visitors at the Reunion. If you bring a pet the Reunion grounds, you must control the animal at all times and the pet must be kept on a leash no longer than 4 feet. You must pick up and dispose of any and all droppings left by the animal (please use one of the trash barrels or dumpsters located on the property). You must also be able to show proof of current rabies vaccination for all dogs, cats, etc. Pets are not allowed at the concerts, however, unless its a service animal. Can I buy admissions or concert tickets online? 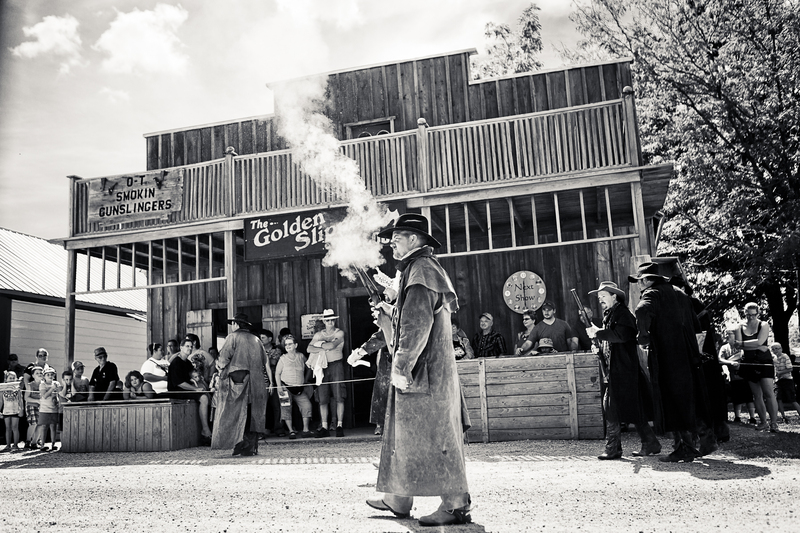 Admission tickets are sold online, click here to purchase them. How can I buy admission tickets and concert tickets if I don't have online access? You can call the Midwest Old Threshers office at 319-385-8937 and place the order over the phone with a credit card, or you can mail in your order with a check and $3 Shipping and handling fee to Midwest Old Threshers, 405 East Threshers Road, Mt. Pleasant, Iowa 52641. Can I get information mailed to us regarding the Reunion? If you don't already receive the Threshers Review in the spring, you should give Midwest Old Threshers your mailing address in order to receive the spring mailer. Midwest Old Threshers does not mail out Reunion information when it is two weeks or less before the start of the Reunion. All the information that you would receive in the mail is on this web site. What time do the gates open and close each day? The grounds open Thursday through Sunday 7:00 am to 11:00 pm and Monday 7:00 am to 3:00 pm. Gate W2 is manned and open at all times. Can I bring a golf cart or another form of personal conveyance vehicle to the Reunion? Individuals are welcome to use personal conveyance vehicles (PCV) on the Reunion grounds and in the main campgrounds. A vehicle is considered a PCV if it does not exceed 48 inches in length or 32 inches in width, carries one occupant, and travels on three or more wheels. Golf carts, ATV's, Gators, Lawn Mowers, and other related vehicles are NOT considered to be a PCV. Do you have scooters for rent on the grounds? Are there still events and things happening on Monday? There are events planned throughout the last day. The Reunion will end at 3 pm. Exhibitors start packing up at 3 pm, but for the most part, we enjoy a good crowd through the Cavalcade of Power which begins at noon. What times do the trolleys and the trains operate and what is the cost? The Midwest Electric Railway runs its trolleys beginning the Saturday before The Reunion til Wednesday from 6-9:30 PM; Thursday-Sunday of The Reunion from 7 AM-11 PM and Labor Day from 7 AM -4 PM. Round trip tickets are $3.00 & kids under 6 are free. The trolleys depart from the depot south of Museum A as well as several locations throughout the campground.